High-BPM electronic music emerged from German hard trance and Swedish tribal in the 90s. 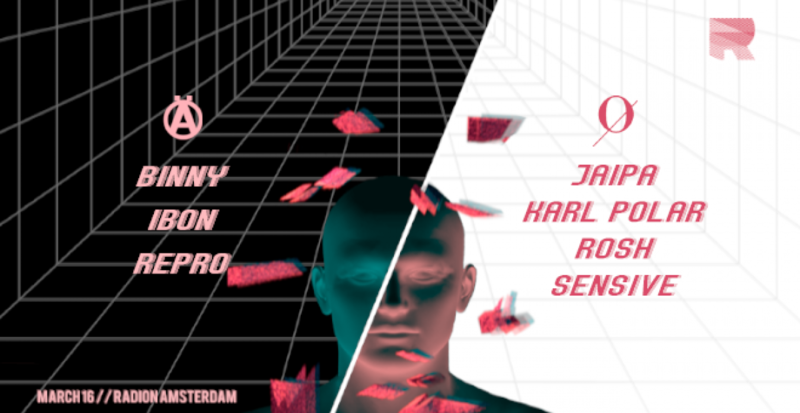 March 16th will see the likes of Copenhagen's fast techno scene in Amsterdam. IBON and Repro are joined by master of groove Binny. After 2 years of radio silence illegal rave installment blanc is back in the intimate basement of Radion. DJ’s from Germany and Amsterdam have been selected. Limited first round tickets for 15E (ex fee).